The act of producing offspring is one of the most energetically costly things an animal has to do in its life. 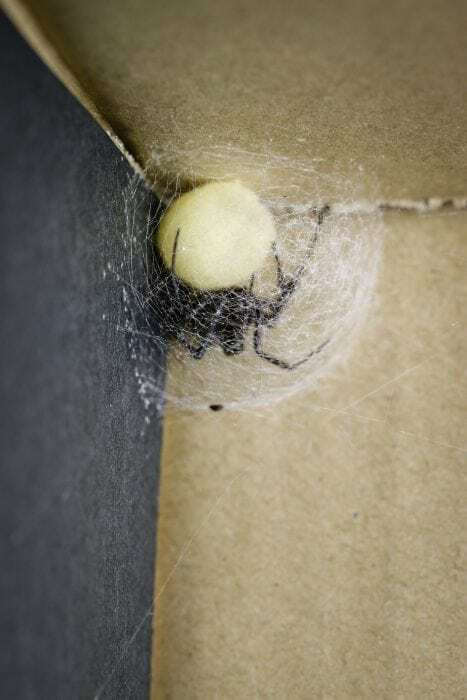 For example, in black widow spiders, a single egg case can weigh over 1/3 of the female’s body mass. Thus, it makes sense that the parent(s) should actively defend their reproductive investment from the multitude of other animals that may want to eat, steal, or parasitize their offspring. Yet, not all offspring are equally valuable for several reasons. Parent(s) may invest more in one set of offspring, and offspring gain value as they age as they themselves come closer to reproduction. Both situations imply that parent(s) may want to more vigorously defend heavier or older offspring relative to lighter or younger offspring. Past research has focused on the behaviors animals use to actively defend their offspring. For example, birds will mob a potential predator, fish will bite and lunge, and crayfish will strike and grapple. Yet, many animals build structures, such as nests, hives, and webs, and these structures aid in different tasks such as foraging and mating. Surprisingly, it is unknown whether such structures are used to defend offspring, or if the parent alters aspects of the structure in response to the value of the offspring. 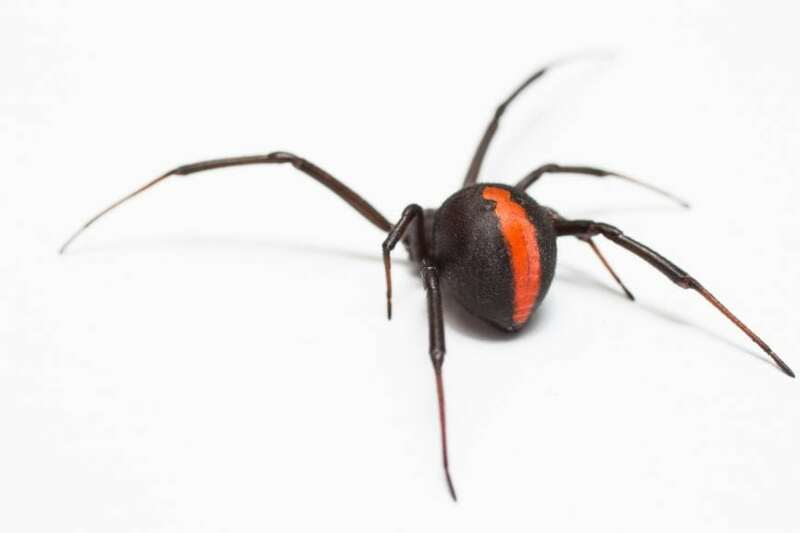 Latrodectus spiders, which includes the black widow and redback spiders, make a great system to study how a structure, specifically a web, is used for defending offspring. 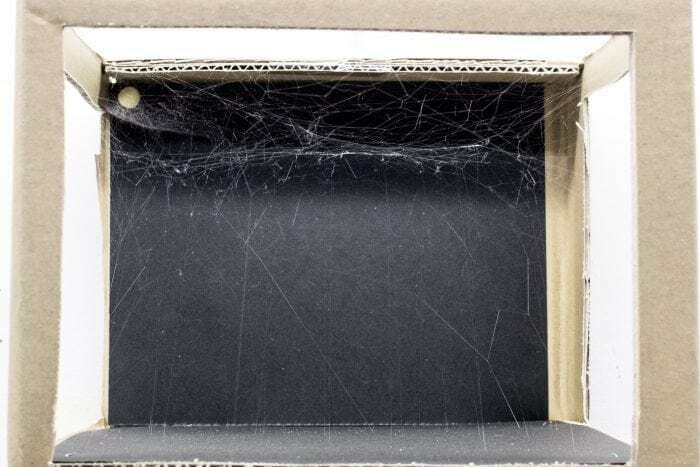 Most Latrodectus build a web that has many easy-to-measure features, including sticky gumfooted silk lines that aid in prey capture, structural lines that help protect the female from predators, and a funnel-shaped retreat that the female hides in. These spiders reproduce by laying hundreds of eggs inside an egg case, and the investment in these egg cases can be massive with females often putting over 1/3 of their body mass into a single case. Unfortunately for the spiders, many parasitic wasps have evolved to lay their parasitic offspring inside the spider’s egg case. To study how webs may be used to defend offspring, we used the redback spider, Latrodectus hasselti. Specifically, we allowed females to build a web on a standard structure for several days (see photo below). We then measured both their aggressive behavior, how they invested in various web features, and if they laid an egg case or not. After measuring these traits we removed the egg case from the web and assessed its value by weighing it, as heavier egg cases contain more eggs and are therefore more valuable. This process was repeated three times for each spider in order to understand the overall pattern across females. Our results indicate that females build much denser funnels when they have an egg case while investing less in other web elements, such as those used for foraging. Furthermore, females also invest more in protection when the egg case is more valuable: the heavier the egg case, the denser the funnel and the denser the overall web. Surprisingly, despite these trends, we found that females dramatically differed in how much they invested in both their egg cases and protecting their offspring. Some consistently build extremely dense funnels to protect their egg case, while others consistently build next to no funnel. These changes in web investment highlight that specific elements of web structure likely play a critical roll in how a female defends her offspring. Furthermore, many females will even forgo building other important web features in order to protect their offspring. Interestingly, the large differences among females in this web investment may suggest multiple protective strategies. Some females may invest less in protective web elements and more in behavioral defenses, while others may take a different approach by using their web more than behavior to protect. Thus, there may be multiple ways to be successful when dealing with a threat. These findings are described in the article entitled Plasticity in extended phenotype increases offspring defence despite individual variation in web structure and behaviour, recently published in the journal Animal Behaviour. This work was conducted by Nicholas DiRienzo from the University of Arizona and Hokkaido University, and Hitoshi Aonuma from Hokkaido University and CREST, Japan Science and Technology Agency.